So I was wondering what to talk about today, then I remembered something that my previous psychologist had said to me in one of our last sessions together. She mentioned my OCD journey being somewhat like a Jenga tower. In the sense that my OCD has so many layers and when they’re all fully in place it becomes very strong and difficult to knock down or make go away, just like when you start off a Jenga tower with every block in place. It’s very sturdy and strong. Then if you see each block in the Jenga tower as a section or specific of your OCD. Some are a little easier to remove and some are more difficult to remove. You wouldn’t go for the difficult blocks first in Jenga would you? You would go for an easier block. Just like in CBT therapy and challenging your OCD. 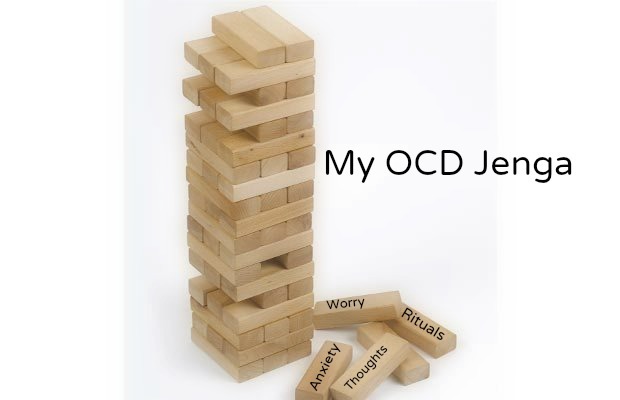 You’re not going to try and remove/alter an extremely difficult part of your OCD first, you would go for something you might find a bit easier and work your way up, just like you would in Jenga. As you remove more and more parts of your ‘OCD Jenga’ from the tower – rituals/thoughts ect. – it becomes weaker and less stable. On your journey you will experience difficulties and challenges, just like when you choose the wrong block to pull out from the Jenga tower. You have to keep going and remove the block no matter how long it takes. Sometimes it’s best if you try and take the block out slowly! It’s the same with battling your OCD, you will experience difficulties at times and things won’t go always go smoothly, but you will succeed if you persevere. Once you remove enough pieces the tower will collapse, similarly if you challenge your OCD enough one day the structure that it has held onto for so long will start to break down and you will be able to gain the parts of your life back that your OCD took away from you, or restricted you from doing. As your OCD falls down – like the Jenga tower – you will gain the upper hand. I’m aware that the aim of Jenga is not to knock down the tower, but we can scrap that rule for this post! Another idea that sprung to mind was that Jenga’s not really that fun if you play by yourself. You need to surround yourself by people if you want to enjoy the game! It’s just like that when you’re battling your OCD. It’s not great and a lot more difficult if you battle it alone, so you need to reach out and find support from others. I’m not saying that reaching out to others is going to make battling your OCD fun – trust me it’s not, but it can be extremely rewarding! – it just makes it easier when you have people around you to support you, whether it be family, friends, a psychologist or really anyone that you trust and feel comfortable with. Try not to let your journey be a lonely journey, surround yourself with people who want to help you! There are people out there who want to to help. I do. Please never forget that. So that’s how I would describe my ‘OCD Jenga.’ Hopefully it made sense to everyone. I think that this was one of the phrases that really stuck with me, I mean I hold onto a lot of thoughts and good advice from my previous therapist but I found that this one really stood out to me. Let me know what you think of this analogy! Use the hashtag (#MyOCDJenga) New special hashtag for this post. Fancy! 2 Write a blog post and tell us about the blog(s) you have chosen – there are no minimum or maximum number of blogs required – and ‘present’ the blog(s) with their award. 5 You can now also join the ‘Blog of the Year’ Award Facebook page – click the link here https://www.facebook.com/groups/BlogoftheYear/ and share your blog posts with an even wider audience. Sorry for commenting such an old post, haha. I just wanted to say that I found this really helpful. It makes it easier to imagine how therapy is supposed to work (which means a lot since the ocd needs a lot of convincing…). Thank you! Want to keep up to date? Click follow and receive email updates when I make a new post. Hello! My name is Ellen, I’m 19 and I apologise in advance for my excessive rambling. I have a pesky thing named OCD in my life, so I decided to blog about my experiences with it, hopefully helping people along the way! 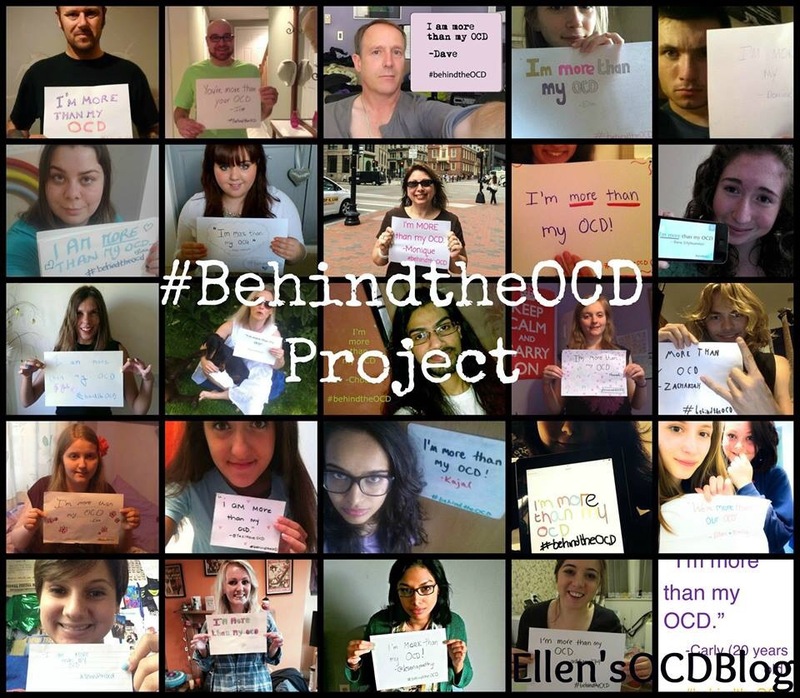 I believe that we all have the strength and courage to tackle our OCD. Hopefully, this blog will make you feel less alone and that you might be able to relate to some of my experiences too. "Think like a proton, always positive"